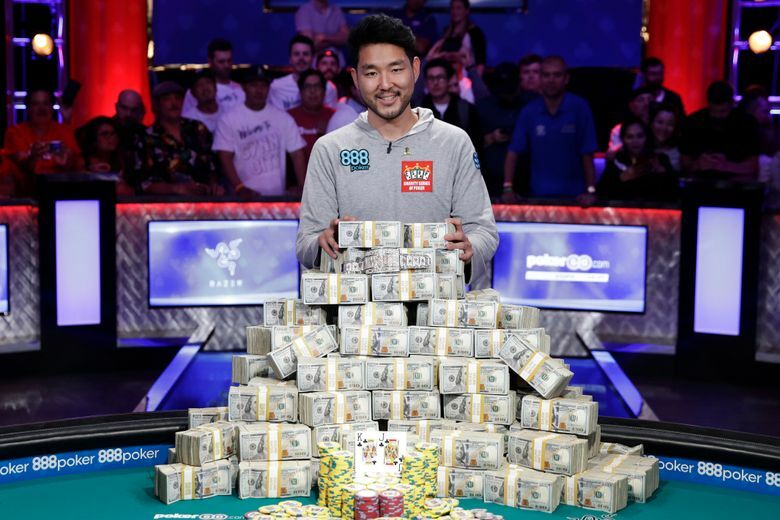 LAS VEGAS (AP) — The 2018 World Series of Poker champion is an Indiana resident and professional player who barely missed the cut for the final table two years ago. 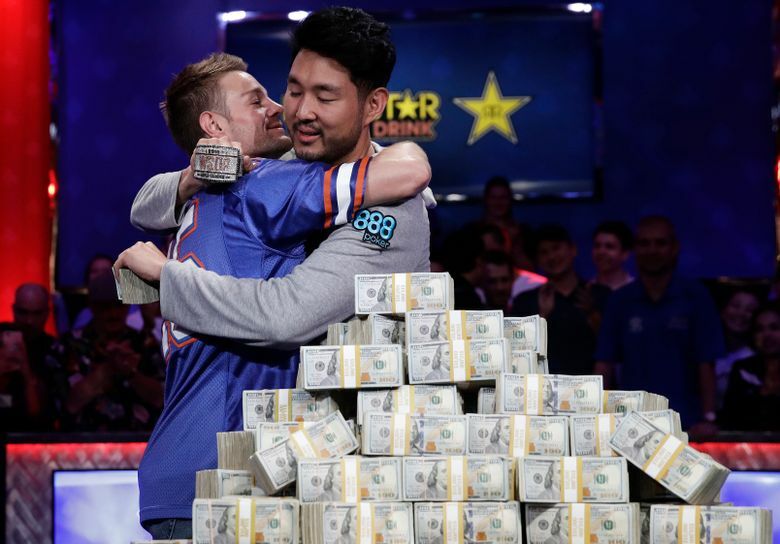 John Cynn won the series’ marquee no-limit Texas Hold ’em main event Sunday in Las Vegas, surrounded by a cheering crowd that included his dad. 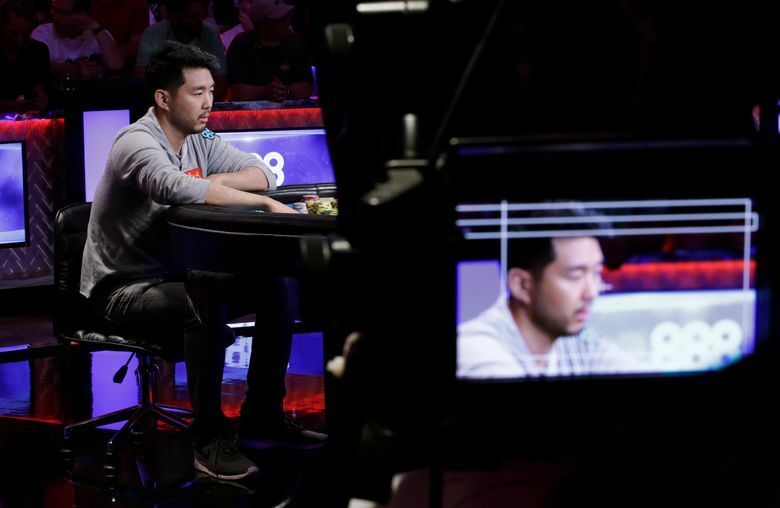 He eliminated Tony Miles on the 442th hand of the final table, after playing 199 hands just against each other with bricks of $100 bills and a gold bracelet at the table. 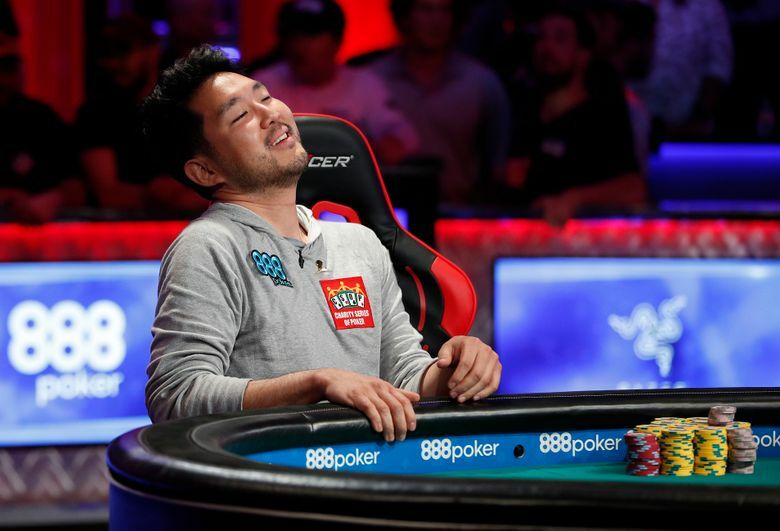 Cynn, 33, became $8.8 million richer after playing against Miles for more than 10 hours. 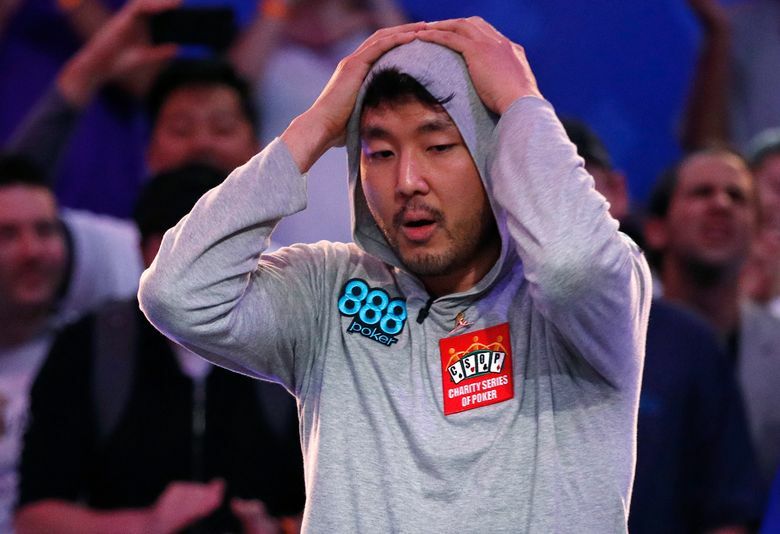 He was visibly shocked, grabbed his head and momentarily crouched as the crowd roared after his win. He told reporters early Sunday that the money will be “life-changing” but does not have immediate plans to spend it. 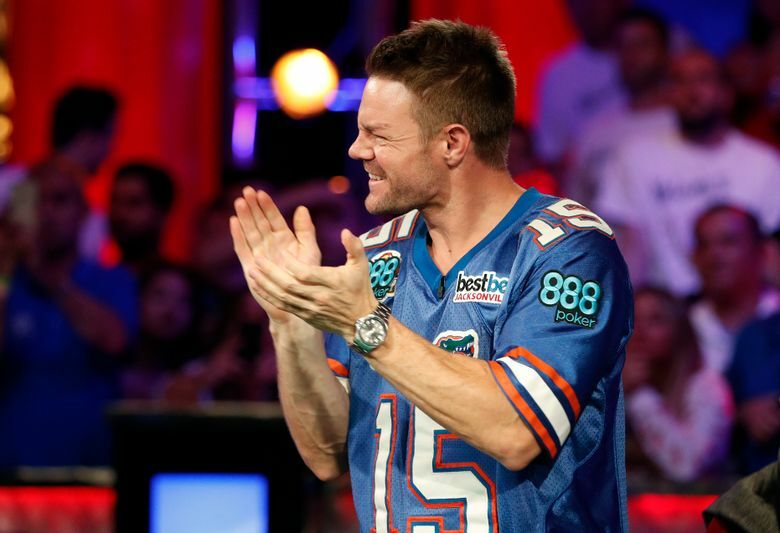 Miles, a resident of Lake Mary, Florida, took home $5 million. 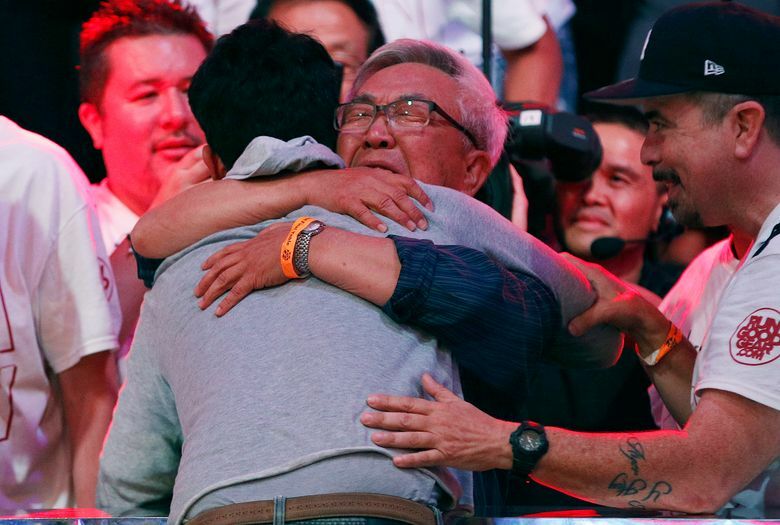 He hugged many of his supporters after his defeat and shed some tears off stage. Cynn’s final king of clubs and jack of clubs was stronger than Miles’, who went all in with queen of clubs and eight of hearts. The community cards were king of hearts, king of diamonds, five of hearts, eight of diamonds and four of spades. 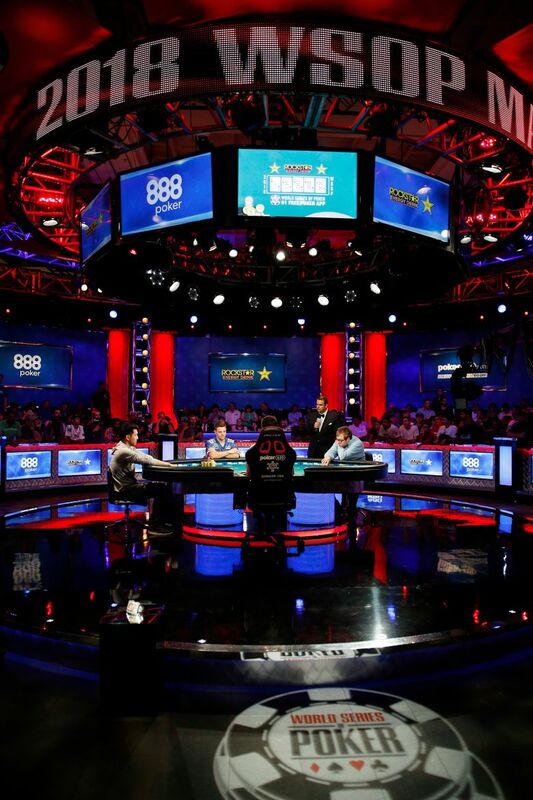 Each of the nine players who made it to the final table was guaranteed at least $1 million. They represented the U.S., Australia, France and Ukraine. 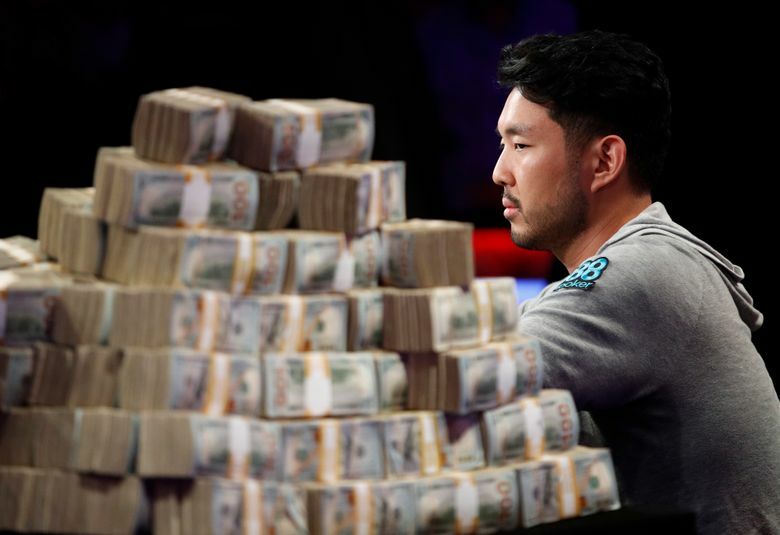 The famed tournament this year drew more than 7,800 players who either risked $10,000 or earned a seat through satellite competitions with lower buy-ins. The series as a whole has attracted a record 123,838 entrants this year, surpassing last year’s record of 120,995 with one event still left. 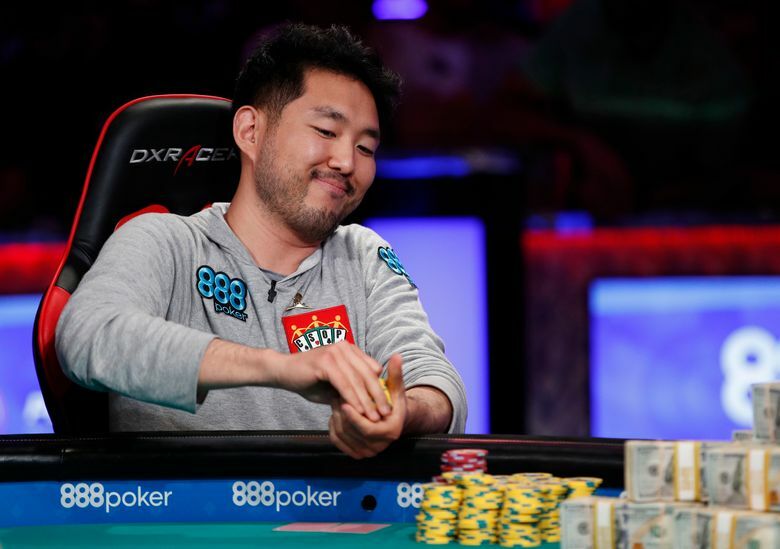 Cynn, a native of Evanston, Illinois, now residing in Indianapolis, had previously cashed at various series tournaments and barely missed the main event’s final table two years ago, when he finished in 11th place and won $650,000. 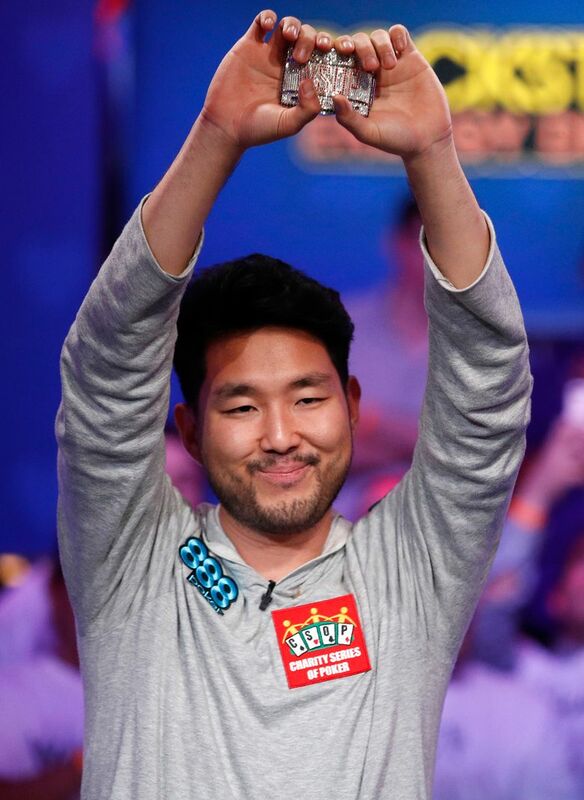 This year, he started play on the last night of the final table as the player with the second-most chips with 128.7 million. 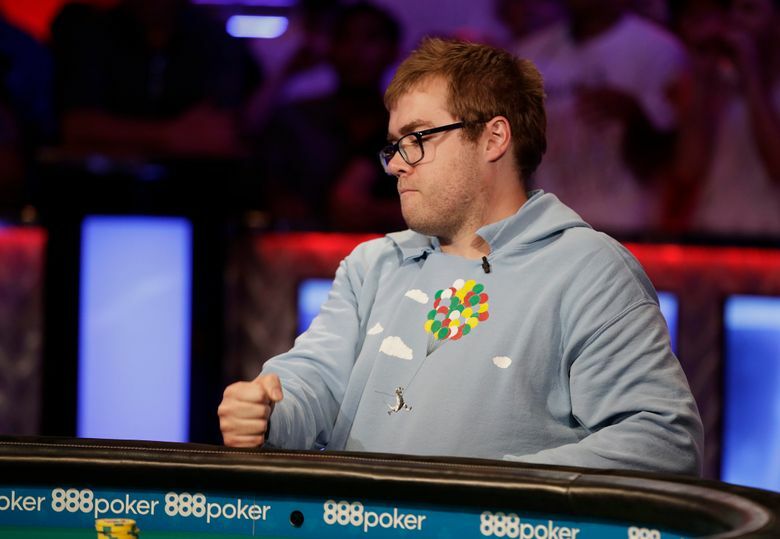 Earlier in the night, Miles bluffed Cynn off the better hand when he shoved 95.3 million chips, going all-in. Cynn took about three minutes before folding. The broadcast showed Cynn had two pair — including a pair of threes on the board. 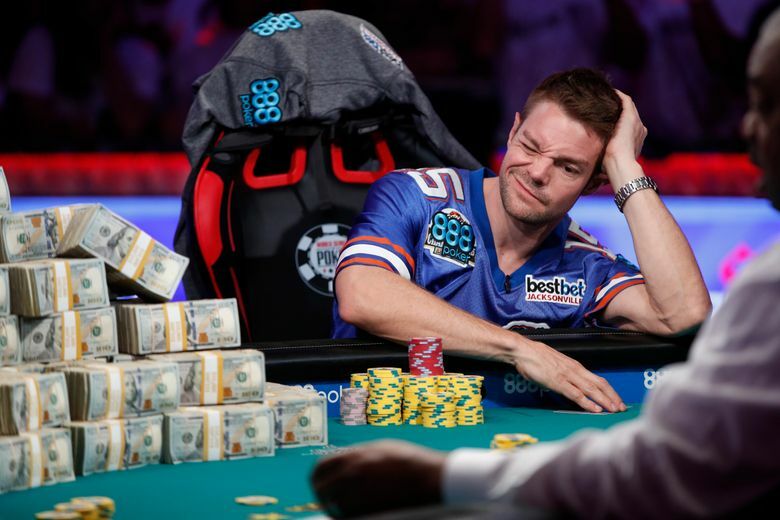 Miles essentially had nothing, yet he reached 154.9 million chips after taking the pot. 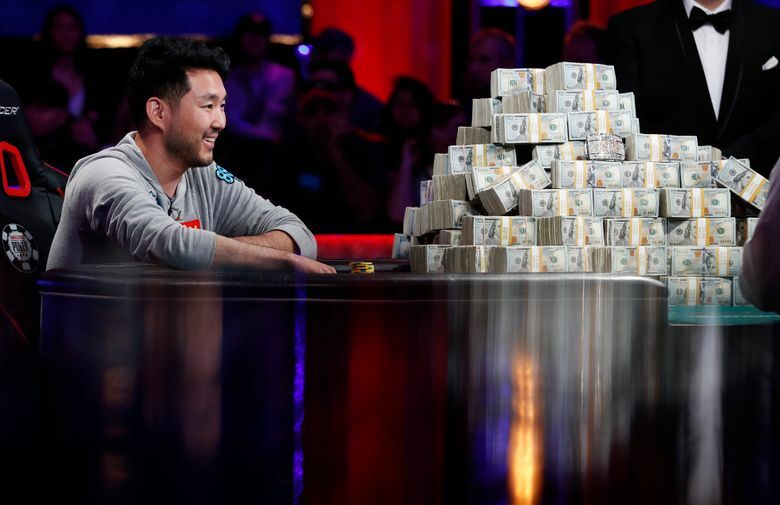 About 90 hands later, Miles again went all in. 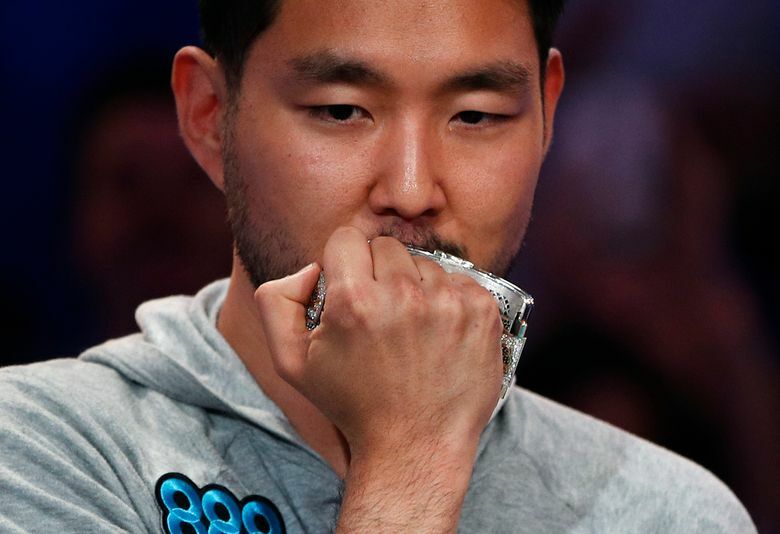 He pushed 74 million chips, and Cynn eventually called. When they rolled over their cards, Miles ended with triple sixes, while Cynn had two pair, including a pair of sixes on the board. 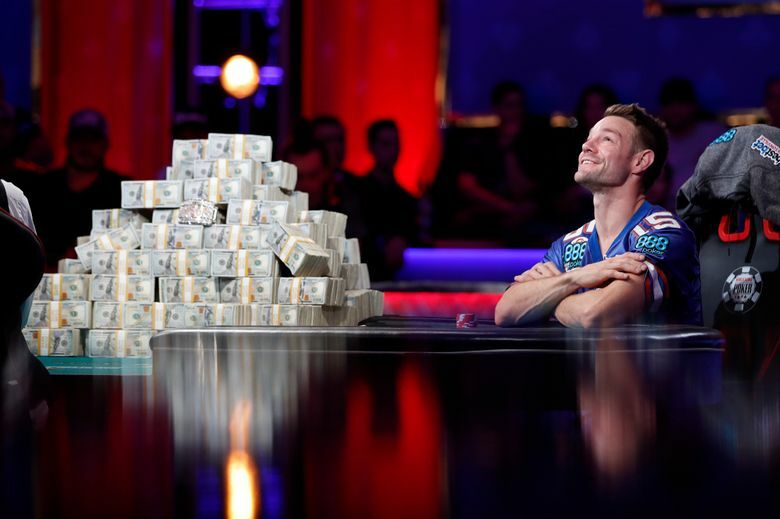 Miles increased his stack to 182 million at that point. 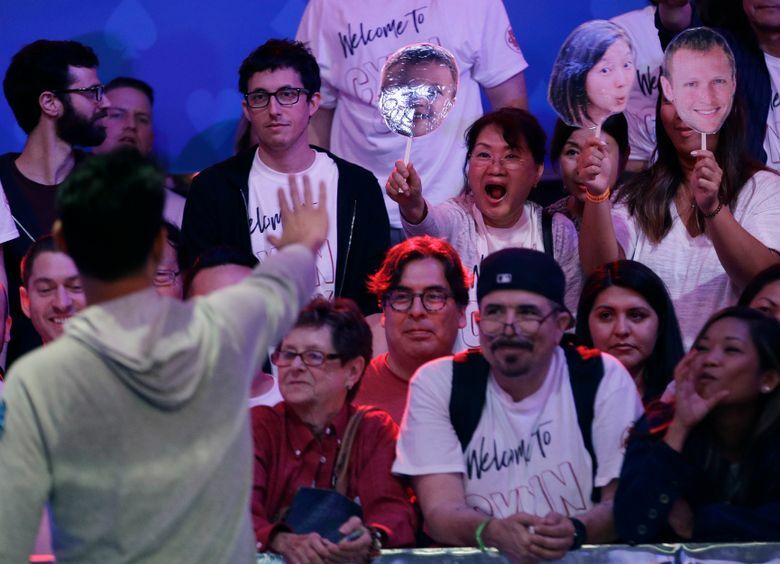 Miles and Cynn had dozens of supporters cheering them on in the ballroom hosting the event at the Rio All-Suite Hotel and Casino near the Las Vegas Strip. 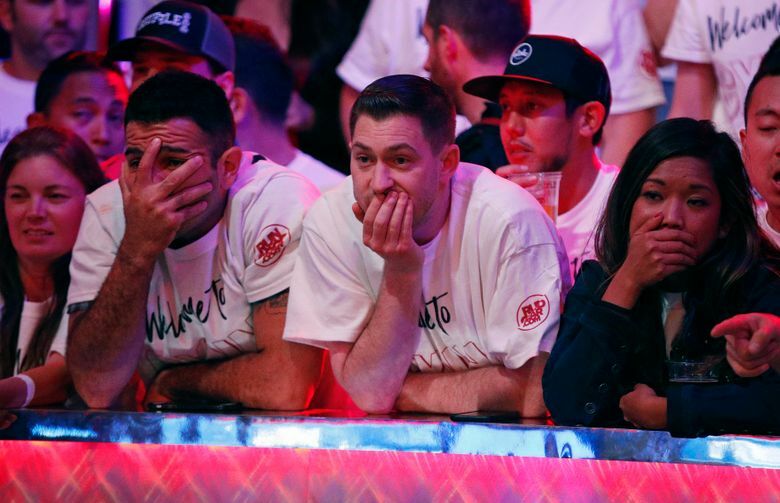 The supporters sported T-shirts that read #TEAMMILES, Welcome to Cynn City and The Cynnaloa Cartel, playing with the name of the drug-trafficking organization Sinaloa Cartel. 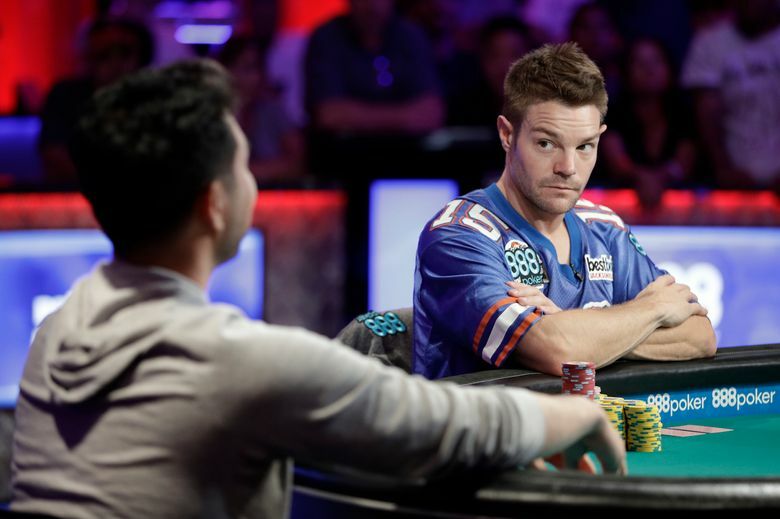 Houston resident Michael Dyer was eliminated Saturday in third place. After busting out, Dyer said he might consider entering a couple more live tournaments, but feels more comfortable playing online. “I wanted a little more, but it was pretty good. I can’t complain. 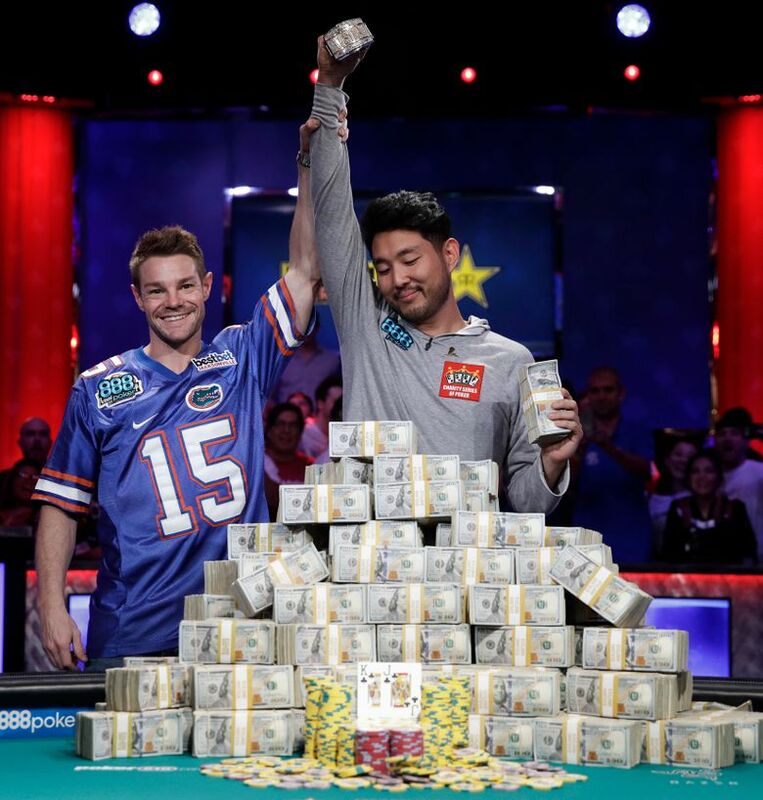 Third place, that’s more than you can dream for when you start the tournament,” said Dyer, who won $3.75 million.